This report is based on a 313 pages fiction book with the title The Fault in Our Stars. The writer of the book was John Green – an American writer who has published not least than six novels. 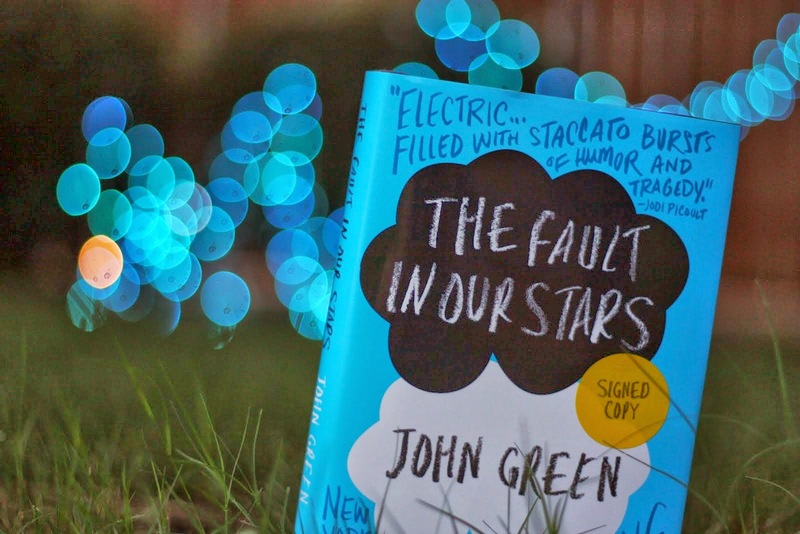 The Fault in Our Stars was published by Dutton Publisher in January 10, 2012. The genre ofthe book is young-adult realistic novel. It tells about a cancer couplefighting for the lives and love. The book takes place in America (Indianapolis, to be exact) and Amsterdam. These places are not imagery and mentioned in the book by thenarrator. The narrator herself is the main character of the book whose name is Hazel Graze Lancaster. She narrates the book by using past tense, which meansthe book is set in an earlier time period. The year is not explicitly mentioned, however based on context clues, the story probably takes place any time between 2008 and 2012. Hazel Graze Lancaster, the main character of the book, is a sixteen year old teenager with terminal thyroid cancer that has metastasized to her lungs. She is forced by her mom to attend a cancer patient’s support group where she meets Augustus Waters, an athletic seventeen year old amputee. Augustus,or Gus, lost his one of his legs because of osteosarcoma. He is at the support group meeting to accompany his best friend, Isaac, who afterward loses his remaining eyes to cancer. After the meeting, Gus invites Hazel to come over to his house to watch a movie together and she agrees with it. After watching the movie, they two promise to read each other’s favorite books. Gus gives Hazel The Price of Dawn, and Hazel recommends An Imperial Fiction. Afterwards, thebook exchanging leads them to getting closer because it turns out that theyhave the same taste. Although sometimes they do not agree with each other. The book that Hazel recommends, An Imperial Fiction, is a book about a cancer girl that parallel swith Hazel’s own experience. The ending of the book is without conclusion. It makes Gus curious with the ending. Hazel then tells him that the author of the book whose name is Peter Van Houten has moved to Amsterdam. She tells him that she has sent dozens of letters to Peter Van Houten to ask about the book ending but he never replays. A week later, Gus finds the email of Peter Van Houten’s assistant. He sends a reader letter to him via his assistant’s email and finally gets a replay. After exchanging emails, Gus arranges a trip for him,Hazel, and Hazel’s mother to Amsterdam to visit Peter Van Houten in order to ask him about the ending of An Imperial Fiction. However, the author that makes them go overseas turns out to be avery rude and mean person. He does not tell them the end of the book althoughhe knows that they have gone all the way long to hear it. Hazel and Gus realize that they are in love to each other in the trip. They act like normal teenagers without cancer when they are together. They share private stories and become each other’s hand grip. Whenever Hazel needs someone to hold, Gus will be there, especially when cancer nails Hazel down. And whenever Gus needs Hazel, she will be there too. After spending time together as a couple, Gus finally confesses that his cancer has come back and attacks him harder than before. Gus tries very hard to fight his cancer. In the other word, he is very sick.Fortunately, he has Hazel who never leaves him alone. She visits him at home almost every day because Gus cannot go out to hang out. In the end, Gus cannot stand his sickness and finally dies in his sleep. Hazel is very sad with this because her hand grip, that is Gus, has gone away and will never come back. She says in the book “The person that I want to talk to about Augustus Waters’ death is Augustus Waters”. She tries sohard to get through sadness while fighting with her own cancer. While he is sick, Gus manages to write to Peter Van Houten a bout the ending of An Imperial Fiction for Hazel. This The Fault in Our Stars book ends while Hazel is reading the introduction part of the letter (which is about her). I found The Fault in Our Stars so much interesting to read. Although the theme of the story is about cancer, the mood it gives is not always sad – or even miserable. The characters perform very attractive. They do not take life so seriously. They place themselves as humans that need to be treated like healthy people, instead of to be treated like people fighting against cancer. They act like teenagers –not exactly like normal teenagers, but teenagers with cancer who can still have fun and fall madly in love. This is what makes this book become best seller in America and other big countries – because it is different than any other books with the same theme. Cancer books usually talk about sadness, desperation, and fear of death, and the characters often self-center themselves as sick persons.Yet, this book presents a different side of cancer fighters. Therefore, I recommend it to fiction readers and challenge them to discover the symbols and foreshadows it has inside the story.